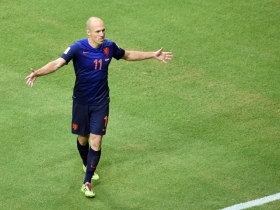 The fall of the Netherlands football team has been a rather quick and surprising one to most. However, further analysis into the roots of one of the great football nations shows that it was a matter of time before this happened. The 4-0 loss to France in the World Cup 2018 qualifiers effectively meant that the Netherlands will not be playing at the premier competition next summer. This would be the second major competition in a row that the Oranje would be missing. The last time they experienced something similar was the failure years of 1982-1986, where they failed to qualify for two World Cups and a European Cup after the likes of Rob Rensenbrink and Ruud Krol retired. However, on all of those occasions, they were extremely close to qualification and usually lost in the play-offs. The past few years has been a new low in the history of Dutch football. Following UEFA's decision to expand the European Cup from 16 teams to 24 teams, Netherlands still failed to qualify, finishing behind the likes of Czech Republic, Iceland, and Turkey in a relatively easy group. After the 4-0 loss to France, they sit fourth, behind France, Sweden, and Hungary in the World Cup qualifiers. Many are scratching their heads wondering what went wrong for the nation that was in the final of the 2010 World Cup and in the semi-finals of the 2014 World Cup. The answer is simple yet extremely fundamental: the failure of proper youth development. There is hard evidence to back up this claim. Excluding 2013, Netherlands have failed to qualify for every other Euro u-21 tournament since 2009, having won in 2006 and 2007. The 2006 and 2007 squads boasted the likes of Klaas-Jan Huntelaar, Royston Drenthe, both of whom played for Real Madrid, Ron Vlaar, Tim Krul, Michel Vorm just to name a few. By the 2014 World Cup, that generation of Dutch players was already in their prime. Huntelaar was 31, Vorm 31, Vlaar 30. Other players such as Robin Van Persie, Arjen Robben, Wesley Sneijder and Dirk Kuyt were all past 30. It was inevitable that just two years later, these players would all be past their prime and there weren't enough youth team prospects to take over from one of the strongest Dutch team since Johan Cruyff's 1974 side. There is that gap in quality between the senior side and youth side that has always been prevalent but overlooked by football fans. The downfall was inevitable and it will take some time and proper planning from the youth teams before the Dutch team comes up again. Sir Alex Ferguson once said that every great team goes in a cycle like how Spain was from 2008-2012, France from 1998-2000 and Brazil from 1958-1970. Netherlands were at that peak of that cycle from 2010-2014, like how they were with Johan Cruyff from 1974-1978.